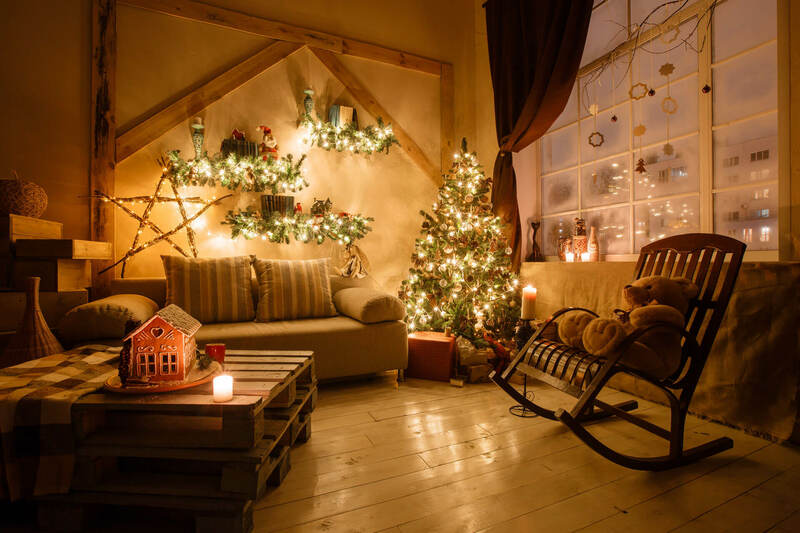 Christmas is the time of lights and decorations. This read is just for people who want to make the best decoration just from things you have at home. 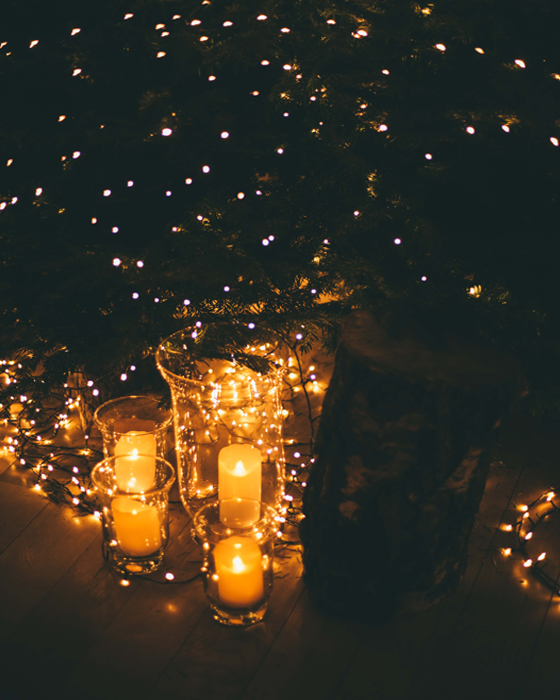 Give your home a sparkling look by decorative candles. A candle provides brightness to our home and it is a symbol of new hope for the coming year. Now how to decorate candles? One can print the candle through stamp or can use a different color which is very simple but yet the best method to decorate a candle. The second one of the easiest way to decorate your candle is use pushpins, yeah It will take less time also and not at all expensive. One can liquefy the different crayons on a candle, however here you need to take care of yourself and always put a paper below candle. We can also put all candle together and tie them with ribbon and put it in candle stand. Wine glasses a decoration item? Yes, we can use wine glasses for decoration on our dining table. For these, you don’t need the expense and a lot more time. Please look below. For the decoration, one need candles, wine glasses, and green leaves. After that invert that wine glass put the candles on the top and green leaves inside the glass that’s it. Simple Isn’t it. Now if you don’t have cranberries and green leaves than you can use different flowers. 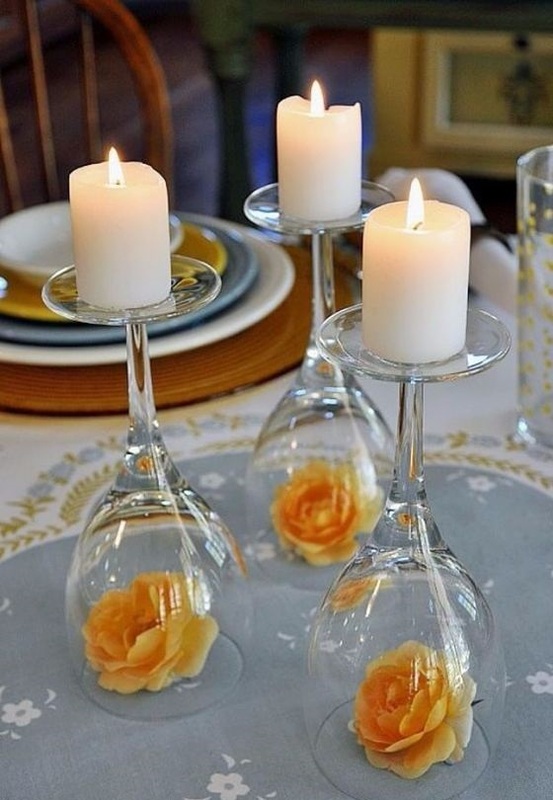 Put flower inside the wine glass and candle at the top. One can use their jars for decoration. 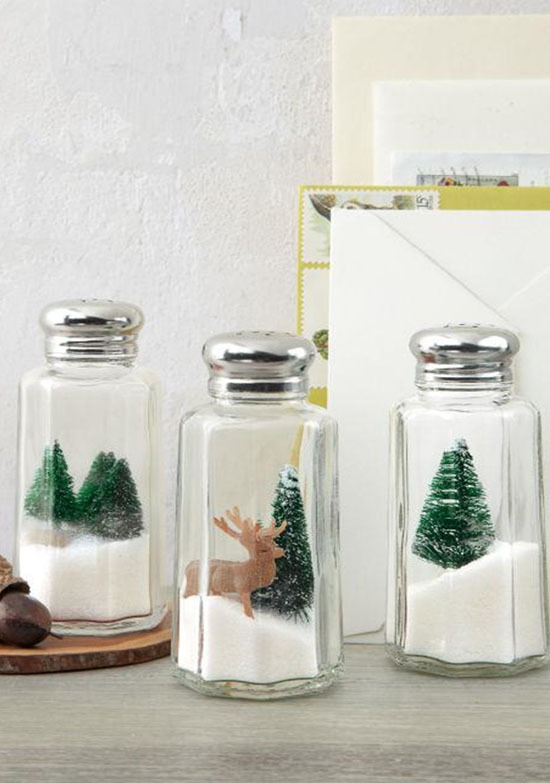 For that, you require 3 to 4 jars, one garland, and ornaments. A photo frame is always available in our home. We can use this photo frame for our decoration. Let’s see how. 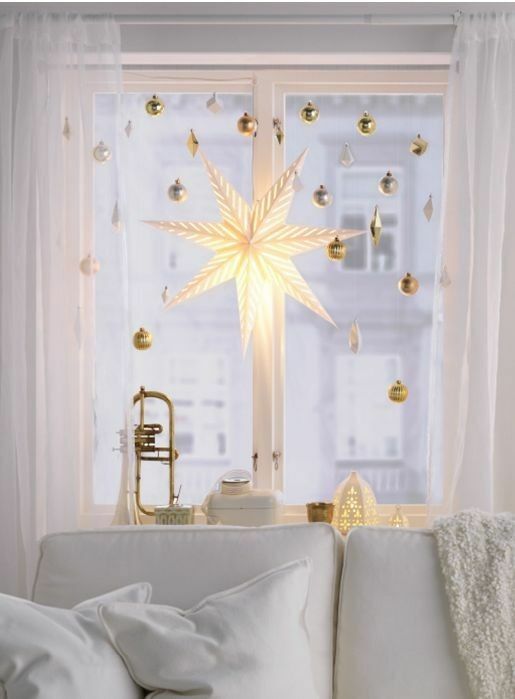 Here you need some ornaments like balls, stars etc., and one old photo frame. Here we need to tie these ornaments on photo frame and we can use tinsels also on the top. 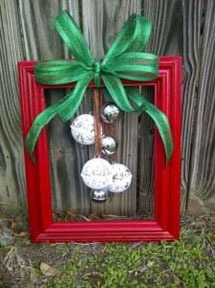 If the photo frame is of dull color then paint it red. 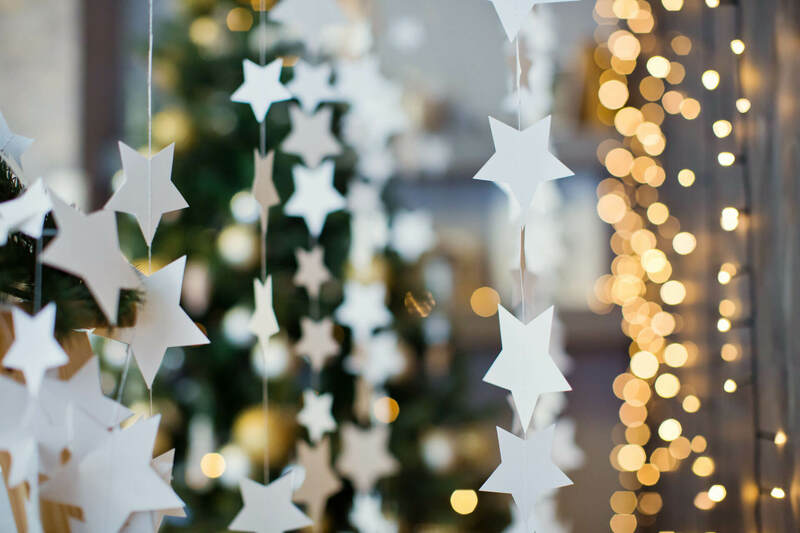 In this Christmas, if you don’t want to spend too much, then purchase these ornaments like decorative stars, balls, small Christmas tree, deer toy, tinsels etc. as they are available in Indian market with affordable price. Tie them in your windows, doors etc. 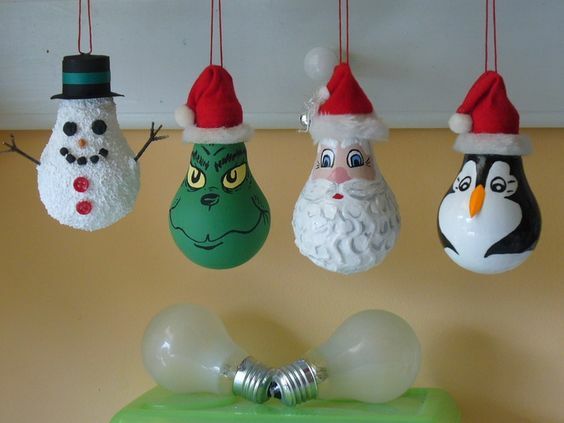 We can use the bulb for Christmas decoration, let’s see how. Then for snowman put the small craft on the bulb and draw eyes and nose on the bulb. That’s it. However one can use more creativity here, but this is just simple and fast way for the beginners.